A business consultant who wants to know who’s been anonymously disparaging and fixating on her online has gotten a court to force Google to tell her. As she joined a growing number of people who have persuaded courts to unmask troublesome cyber ciphers, Carla Franklin said Wednesday she hoped her case would help others combat similar problems. “The Internet cannot become a safe haven for harassers and stalkers,” she said in an e-mail. Still, enforcing it [the law] can be a challenge. While a number of states have laws against cyberharassment or cyberstalking, it can be difficult for authorities to go after suspects who can easily change aliases and may be in another jurisdiction. Prosecutions do happen, including the recent trial of a New York man accused of using phony online identities to harass and discredit his scholar father’s adversaries in a heated academic debate over the origins of the Dead Sea Scrolls. The son, Raphael Golb, was convicted last month of identity theft and other charges. He said his pseudonymous e-mails and blog posts amounted to academic whistle-blowing and satire, not crime; he plans to appeal. The days of the cowering behind the cover of anonymity character assassins is over. Enter the light before the door is forced open. The local news carried a story this eve on the rise of home schooling in Tennessee. And I can’t hear the words ‘home schooling’ without thinking of the darling little home schooled kids featured on Mean Girls (an absolutely brilliant movie/ commentary on modern American teen culture). For some reason whenever I post this clip the homeschoolers go insane. Too bad. I think it’s funny. Homeschoolers, though, don’t seem to have much of a sense of humor. Which is sad really. To the football players and cheerleaders, so that there’s no time left over for a prayer before the game. A public high school in southeastern Tennessee will no longer allow prayer to be uttered over loudspeakers before football games, following a complaint. Soddy-Daisy High School Principal John Maynard said Wednesday that he would follow the order to halt the prayers issued by Hamilton County Schools Superintendent Jim Scales. Scales told The Associated Press on Wednesday that he sent the e-mail restricting public prayer at football games on Tuesday. Yeah… there ya go. It’s ok to give kids condoms at school but it’s bad, bad, bad to pray out loud before a football game because that’s so bloody wicked and societally illegitimate. Good is bad, and bad is good only, however, in the minds of the totally depraved and utterly perverse. Karl Barth’s Dogmatics in 14 Volumes for $99 has Shipped! I ordered this back when I first heard about it. $99 for Barth’s Dogmatics? Brilliant! And now it’s been shipped earlier than expected! Brillianter! I’ve read through the CD a couple of times- years back now- and gave my old set to a Seminary student who lacked the funds to acquire it (gosh I’m nice!). So it’s high time to read through it again. Let’s see, a volume a month plus a bit and I’ll be through it again in a year. It’s hardback people! You can’t beat the price. And Barth, for all his many faults, is still so stimulating. It seems that Arutz Sheva is miffed at CBS over Lesley Stahl’s innocuous little piece on Silwan and the evacuation of Palestinians (mentioned the other day). During the segment, Stahl worked hard to cast aspersions on the validity of the archaeological findings in the City of David excavations and the unity of the city, and to delegitimize the presence of Jewish families in the area. She did no such thing. She presented the brutal facts- that Israel is systematically destroying Palestinian homes and driving Palestinians from their own property. Describing a recent rock attack which ended badly when two of the young Arab rock throwers were hit by the car they had targeted as it swerved to avoid running over another young attacker, Stahl noted incidents in Silwan had “become violent.” Her comments, subtly editorialized, were carefully slanted to guide the viewer towards a Palestinian Authority viewpoint. Rubbish- and the only viewpoint Arutz Sheva is interested in is its own. So naturally any point of view which isn’t far right will be seen by them as illegitimate. That’s because there IS NO PROOF that the Ir David excavation is connected to Israel’s putative king. There IS NO EVIDENCE of David. Pure and simple. If there were, believe me, Arutz Sheva and BAR would have touted it to the skies. She also bluntly charged Israel with using the archaeological excavations as a political tool to indoctrinate IDF troops. The journalist referred to the “scores and scores of soldiers coming through” the underground tunnel through which King David sneaked into Jerusalem to conquer the city. “There’s an implicit message that because David conquered the city for the Jews back then, Jerusalem belongs to the Jews today,” she observed. Israel does use archaeological excavations as political tools. Only a fool thinks otherwise. Can anyone say ‘Masada’? The entire essay is nothing but an attempt at damage control. Anyone watching the segment knows that Stahl was right on the mark. And because she was, no one should be surprised that the far right strikes back. Let ‘Em Starve! Or Better, Eat Them! It’s this sort of inanity that makes me want to fry a duck and eat it in front of the Warden involved in this story– just like I’m inclined to splatter a bloody cow’s carcass at the nearest PETA rep the minute they blather on about ‘animal rights’. A mother feeding the ducks with her two children was stunned when she was told off by a council warden – for giving the birds ‘unhealthy’ white bread. Lisa Taplin, 34, was told by the park ranger to bring granary or wholemeal bread next time as it was better for the ducks. The fluorescent-vest clad official said giving ducks white bread was tantamount to feeding her two sons chips with every meal, she said. Mrs Taplin described the episode as crazy and said she walked away feeling both angry and guilty for apparently leaving the ducks malnourished. Lisa, if I might speak so familiarly, let them STARVE! Or better yet, grab one out of the pond the next time the Warden walks by and snap its neck and defeather and gut it and throw it on a spit and roast it. Kill, slaughter, stab, slay, fillet, fry, fricassee, and consume. I guess in French ‘very certainly clinically dead’ must be Je n’est pas encore mort! After all, she was not in fact brain dead and so not dead – yet. She will be- one day. But just not today. So no, it isn’t a ‘sort’ of miracle- it’s just an example of a stupid doctor not bothering to see if she really was dead. The venue for all sessions is the Penthouse Suite, Collingwood. Publishers are invited to display books for sale during the Meeting. Members who have had books published recently are also invited to display copies. Hope to see you there! If you can’t, fear not, I’ll be blogging and photographing everything I can. Are You Testing Me, Satan? Just when I vow to cut back on carbs (yes, I ate 4 gallons of ice cream yesterday but I was fevered and delusional and couldn’t help myself), NPR passes along a recipe that I’m just going to have to try out- Oven Fries and an entire story on oven frying. Oh you wicked NPR, you’ve become an instrument of Satan, testing me. Makes 4 servings – or more precisely, one serving for me and a few leftover for someone else. Cut the scrubbed potatoes into 1/2-inch slices, then cut the slices into 1/2-inch batons. 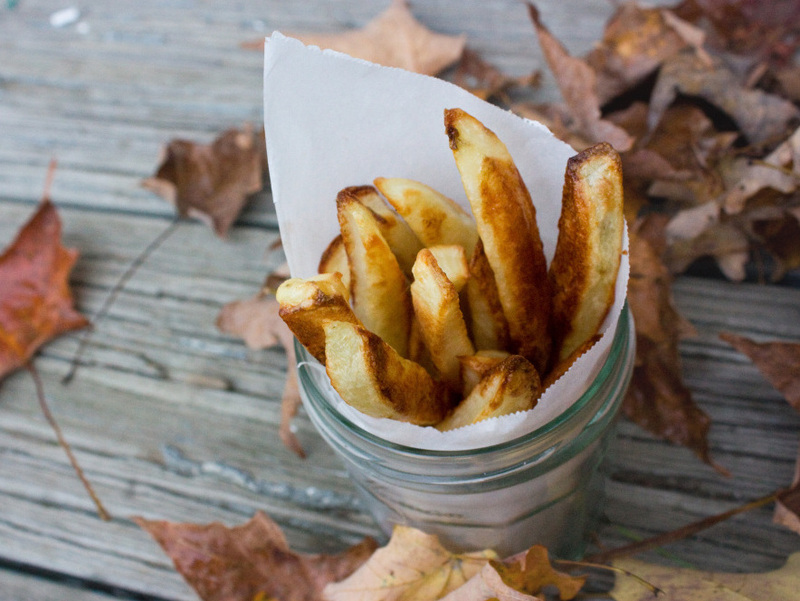 Rinse the cut fries in a large bowl under cold running water until the water turns from milky colored to clear. Put 1/2 teaspoon of the oil on each of two rimmed baking sheets (you can line the sheets with foil to reduce the cleanup). Use a paper towel to spread the oil evenly over the entire surface. Place both sheets in the oven (on the lower-middle and upper-middle racks) and heat the oven to 450 degrees (or 400 with convection fan on). Fit a large pot or Dutch oven with a steamer basket and fill the pot with enough water to reach just below the bottom of the basket. Bring the water to a boil over high heat and add the potatoes to the basket. Cover and steam until the potatoes are glistening but still firm, about 5 minutes. Remove the potatoes from the pot and spread them out in a single layer on two clean kitchen towels. Pat the potatoes dry using a third kitchen towel. Toss the potatoes and the remaining 4 teaspoons oil in a large bowl to coat. Season the potatoes generously with salt and pepper to taste and toss again to blend. Carefully remove one baking sheet from the oven, and place half of the potatoes on the baking sheet so they are spread out and not touching each other. Place the baking sheet back in the oven and repeat the process using the second baking sheet and the remaining potatoes. Bake until the potatoes are golden brown and have begun to puff, 30 to 35 minutes. After 20 minutes, take the fries out and flip them over with tongs. When you return the baking sheets to the oven, switch their positions top and bottom. Serve immediately. Has been discovered, in of all places, Zurich. I’m just glad it wasn’t found in the ‘City of David’, because it it were, it would be put to political use right now. In a new essay at Bible and Interpretation. Very much worth a read. And the damage that’s been done to the American system of Higher Education since its inception. Why? Because the quest for money (which is the only purpose accreditation serves) has robbed schools of their soul. [By the way- I’m the one drawing the connection between the accreditation industry and the destruction of authentic education, not the essayist. Nevertheless, the connection is obvious to anyone who knows how accreditation works and the purpose which it ‘serves’]. The issue, of course, is money. Since the financial crunch of the late 1960s and 1970s, American colleges and universities have worried about their bottom lines. Reduced support from state legislatures and the federal government’s decision to aid higher education through grants and loans to students rather than through the direct funding of individual institutions forced those institutions to look for other sources of income, while seeking to cut costs. In the process, academic administrators adapted themselves to the neoliberal ethos of the time. They reoriented their institutions toward the market at the expense of those elements of their educational missions that served no immediate economic function. As they came to rely ever more heavily on tuition payments, they diverted resources to whatever would attract and retain students — elaborate recreational facilities, gourmet dining halls, state-of-the-art computer centers, and winning football teams. At the same time, they slashed library budgets, deferred building maintenance, and – most deleteriously – replaced full-time tenure-track faculty members with part-time and temporary instructors who have no academic freedom and may be too stressed out by their inadequate salaries and poor working conditions to provide their students with the education they deserve. Meanwhile, rising tuitions are making a college degree increasingly unaffordable to the millions of potential students who most need that credential to make it into the middle class. Read the whole and be sure to plug accreditation and the quest for ‘recognition’ in as one of the primary drivers for greedy institutions and you’ll finally, maybe, see the light as to why I’m so ‘down on the accrediting industry’ and why people like Avalos and others who make their livings off of the backs of unsuspecting students and their families have to defend it- for obvious financial reasons. Higher ed can be restored to its rightful place when institutions of higher education become about EDUCATION instead of ACQUISITION. A former Madera youth pastor is being accused of child molestation. 48 year-old Albert Rogriguez was arrested earlier this month. Madera sheriffs detectives say he repeatedly abused children under the age of 14 – going back as far as 20 years. Rodriguez is a former youth pastor at Valley West Christian Center. This one’s not just a pastor, he’s a foster parent too… with a record. Madera Police arrested Alberto Rodriguez for child molestation. Newly filed court documents show a criminal background. A felony conviction from 1985. In 1995 the CEO of Valley Teen Ranch Foster Family Agency in Fresno says Rodriguez came here. He’s been a foster parent with this agency ever since. When we contacted Valley Teen Ranch. The CEO sent this statement: “We take very seriously our mission, which is to provide children with safe and healthy homes, and have done so successfully for 23 years.” But Madera County Investigators say all the victims in the Rodriguez case were under Rodriguez’s watch in the foster care system. So he’s going to try to rouse up the 20-somethings by appearing on the Daily Show just before the election. Nice huh. First Colbert ‘testifies’ before Congress on the subject of immigration- a subject he has first hand experience with for a whole 12 hours. And now the President panders to the Comedy Central viewers. I guess that’s the most important thing he has to do these days. 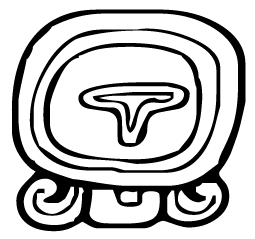 A new critique, published as a chapter in the new textbook “Calendars and Years II: Astronomy and Time in the Ancient and Medieval World” (Oxbow Books, 2010), argues that the accepted conversions of dates from Mayan to the modern calendar may be off by as much as 50 or 100 years. That would throw the supposed and overhyped 2012 apocalypse off by decades and cast into doubt the dates of historical Mayan events. Aww… poor things. Better luck with your next crazy calculations.